We spend a great deal of energy in our lives managing our expectations of the people around us. Whether your spouse, your children, a roommate, a significant other, or co-worker, or someone in leadership…there are expectations we place on people. Consider what happens, though, when those expectations aren’t met…we are left to adjust…to manage what we thought ought to be expected. Have you ever considered that perhaps you do the same thing with God? There might be things you want from God, or things you expect God should do on your behalf? What happens when God doesn’t answer prayer the way you want, or when it feels like God isn’t coming through the way you hoped? What if the problem isn’t so much in Who God is, but who you expect God to be for you? The question you must wrestle with is: While more wealth or more square footage or more possessions might change your circumstances, will they transform your heart? We have from the beginning felt the tension of feeling like we need more…but what is it we really need more OF? If you knew how something would end, would it change the way you give yourself to being a part of it? While, we might tend to think of such a question as it relates to a business opportunity, saying yes to a relationship, or a financial decision and the potential risks or rewards associated with any of the above…what if instead of decisions that are made based on how we think life should go, we make those decisions based on how the story of God at work in this world ends? One of the ways we see sin create brokenness in our lives is in the way we view and use time. We worry that there isn’t enough. We waste the time we have. We don’t honor the time of others. What if we stopped being so short-sighted and started taking a long view of the way we see God’s time and timing? What if that could change the way we live right now with the time we have? By nature we have a tendency to form teams. We gravitate to or surround ourselves with people who share things like our ideals, our values, and our view of morality. While this is not inherently wrong, what happens when our forming teams becomes choosing sides and choosing sides sets us at odds with those who aren’t like us or don’t agree with us…those who are outside of our circle? When this happens in the church, how does the way we treat those who are “outside” have any hope of looking like the Gospel? What if God is calling you into relationship with those not like you so that God can work in you…and God can work in those relationships? We are meant to be a reflection of God for the world around us. One of the things that is true about God is the relationship in which God exists as Father, Son, and Holy Spirit. So, why are relationships one of the most difficult places for us to reflect Who God is? What if we began to allow God to bring healing to the brokenness that exists in our relationships with those around us? 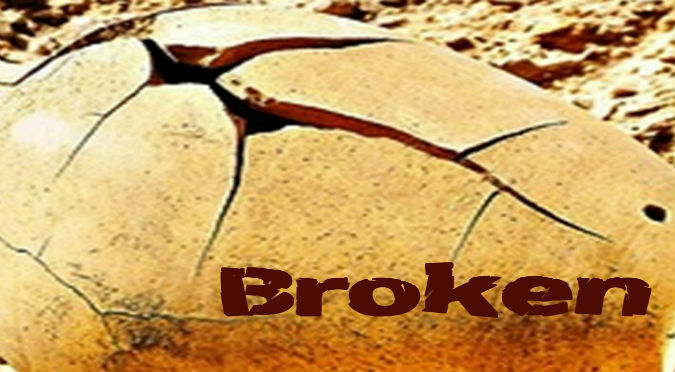 As we begin this season of Lent and our new series, “Broken,” you are invited to come to terms with, to name the brokenness in your life. Sin is the great equalizer…not of are exempt from its effects, and yet in Christ we find that not only does God know something about our brokenness, but is willing to enter in to it. Over the next several weeks we are going to consider how our sin creates brokenness in different areas of our lives…beginning with how it affects your relationship with God. While you are being invited to come to terms with your brokenness, know that God longs to bring healing…that God longs to and promises to take that which is broken and redeem it, turning it into something beautiful. From hearing from some of our missionaries, to a powerful message on Jesus’ commission of His disciples from John’s Gospel, to an important invitation following our denomination’s called General Conference vote, this is a powerful Sunday. 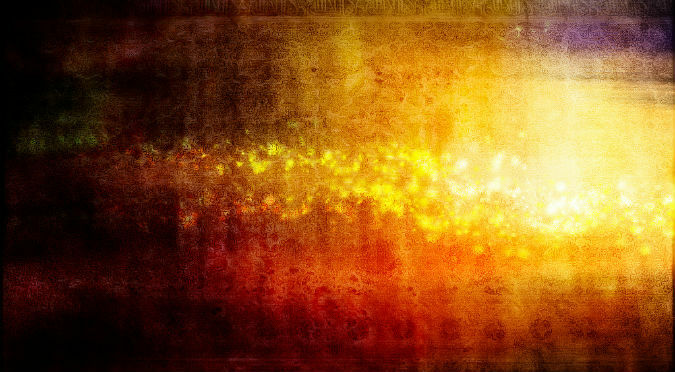 Even in the midst of our every day, busy, running from here to there lives…even in the midst of our doubt and our hurt and our own woundedness, we are invited to remember that Jesus not only walks into that with us, but calls us to follow Him in becoming partners in His work of healing brokenness and redeeming this world. It is difficult to feel a sense of belonging when you don’t feel like you have anything to contribute to thing to which you have given yourself to belong. Even for those who would just as soon fly under the radar and are content with doing next to nothing, eventually the chasm of disconnect created is too much to navigate, and you are left feeling like there is no place for you. In God’s Kingdom, in the Body of Christ…in the church, no gift offered is too small. In fact, Paul suggests that those who feel the least significant are perhaps the greatest gift to the church, and to what the church is called to be in this world. What if your belonging included your willingness to use the gifts God has given you…no matter how small they may seem…to use the gifts God has given you in and through the church to transform the world? Somehow we have allowed ourselves to become convinced that busyness equals fruitfulness. The reality, however, is not that we are left admiring all that we’ve accomplished…rather, we are often left just trying to hang on. Though the invitation to a healthy rhythm and the command to rest, the truth is, many of us are simply committed to things we can’t readily drop or opt out of. So rather than put off taking our next step in belonging…rather than waiting until we get through “this busy season” (which never seems to come)…what if we reimagined what it could look like to be connected….to BELONG to the Body of Christ? What if we allowed God to redefine how our time is spent? When you say yes to the gift of life made possible by Jesus on the cross, when you walk in salvation, when you are adopted into the family of God…you are NOT meant to be an only child! And yet far too many of us attempt to walk this journey of faith and life in isolation from those we are meant to walk alongside. 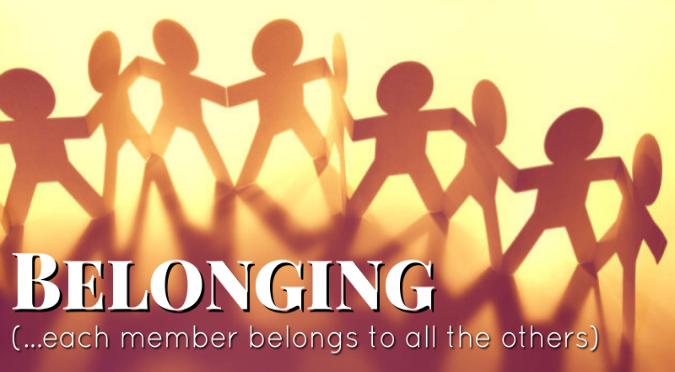 In this first week of our “Belonging” series, we consider why belonging in the midst of life’s transitions is not only good…it is vital to our remaining rooted in who we are in Christ and remaining connected in relationship to God and what God is doing in this world. 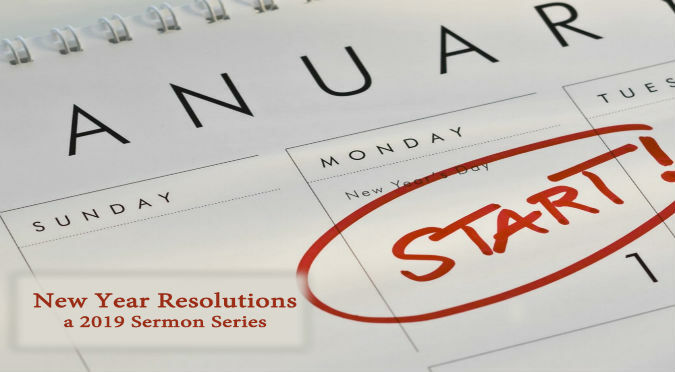 In the final week of our “New Year Resolution” series, we wrestle with the question, “now what?” Perhaps you’ve embraced the hopeful truth that God’s grace exists for you before you are even aware of it…perhaps you’ve said “yes” to your need for the sacrifice that Jesus so willingly gave on the cross that you might live a new life…but what does it mean to live into that new life? How are you transformed? How do you become the “new creation” that Paul talks about? While God’s grace is always at work, the exciting thing about the life ahead of you is that YOU are called to be a part of it…to be a part of what God is doing in making you new! The idea that God’s grace exists for us before we have done anything to earn it, that “Jesus Knows,” and that Jesus seeks us out is comforting. That kind of grace, that prevenient grace begins to get us on the track toward believing something about God’s love for us…but what happens when we are brought face to face with the extend God is willing to go in order bring that grace to work in our lives? 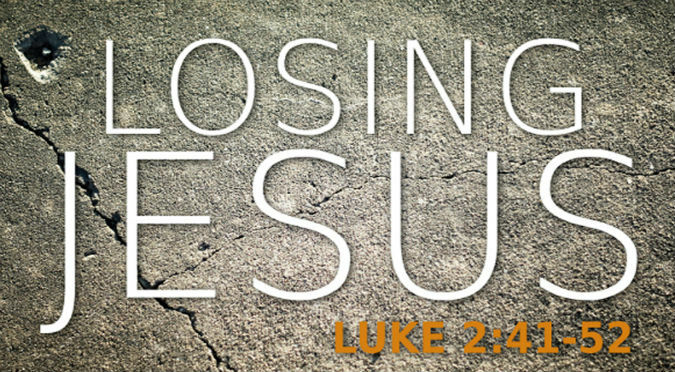 What do we do when the cross forces us to come face to face with our brokenness that necessitated such a sacrifice? Many of us see the turn of the calendar year as an opportunity for a fresh start, a chance to make some changes, to improve some things about who we are. We enter a new year with a sense of hope and possibility. What happens when we fall short of those things we want to see change? What happens when this seems to be the pattern not only in our resolutions and goals, but more importantly in our walk with Jesus? How do you navigate the feeling of falling short once again? Is there guilt? Shame? Weariness? How does it affect your relationship with God? With others? How might things begin to look different if you approached those disappointments with the understanding that…Jesus knows…and loves you anyway? Much of our energy and effort at the start of a new year is given to some measure of improvement of who we are. Whether it is committing to exercise more, be more intentional in relationship, eat healthier, or work harder…the new year represents for many a new start. What if instead of simply trying to improve something about who you already are, you allowed a new or renewed understanding of who you are as one loved by God to transform the way you live the life that is ahead of you? Imagine what could be different if you lived into the truth that you are the beloved of God. In the waters of baptism we have opportunity to claim that truth over our lives. The story of Christmas is often a familiar one. Come to think of it, the story of your life can begin to feel familiar as well. 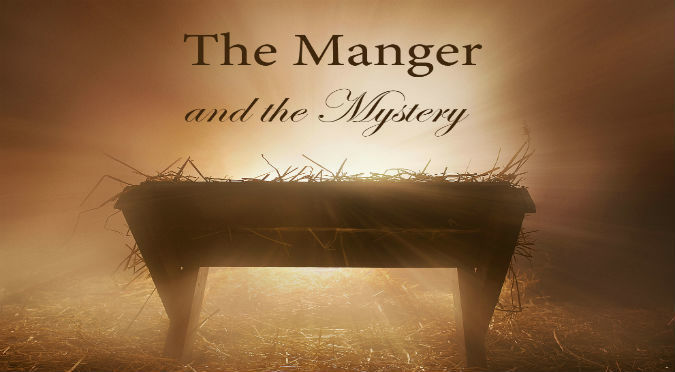 The hope of Christmas is that the birth of Jesus speaks something NEW into the familiar! We all have those songs that define a moment or a season. Those songs that transport us back in memory, or that focus and excite us toward some goal or event in the future. But what about a song that names a promise? What about a song that claims hope in the face of trial? What about a song that offers a future for the forgotten? What about a song named and still can spark a revolution? In week 3 of Advent, listen to Mary’s Song as Luke records it in his Gospel account…yes it is the song of an expectant mother, but it is also the song of a faithful follower…one who longs to see God’s Kingdom become a reality on this earth. Imagine what could change, if you took up this song! As we begin the season of Advent, the march toward Christmas we must acknowledge that there is much that is familiar about this time of year. There are traditions we uphold, customs, gatherings that happen every year, people we expect to see, even food we expect to eat…it is part of what makes this time of year so special…being able to enjoy things that we don’t always get to. What if in the familiar, we have lost sight of that which is foundational to our reason for celebrating? Has the birth of Christ simply become for us another familiar tradition rather then the foundation of our hope and the expectation of our future? Who or what are the little kings you have set up on the thrones of your life to serve and protect the kingdoms of your desires, your pursuits, your opinions, your comfort or your convenience? How are those little kings serving you? Have they proven weak yet? What happens when your little kings and kingdoms begin to collide with the kings and kingdoms of those around you? We tend to live in this perpetual state of conflict with the world around us and feelings of being unfulfilled with our own life. Surely this can’t be all that Jesus had in mind. 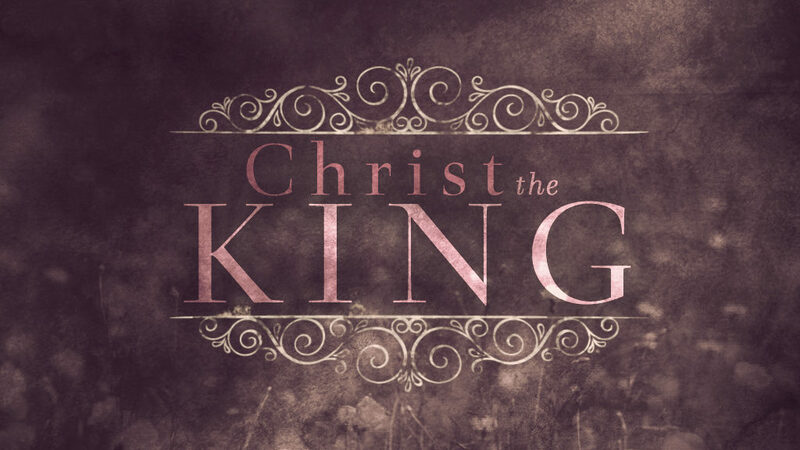 What if instead of fighting against the reign of Christ in your life, you lived a life submitted to Jesus as King. What if by losing yourself you found what life is meant to be?